Exa® RIS | Konica Minolta Healthcare Americas, Inc. Reimbursements are declining, so facilities need a software package designed to increase efficiency and attract more referring physicians. Marketing focused: Exa is not only focused on efficiency, but actual marketability. Your RIS should add features that drive more business your way, with accountability and tracking. Easy-to-use interfaces, strong marketing reports, and live dashboards will put you in the driver’s seat to grow your business. Exa RIS is scalable and ideal for both single and multi-facility enterprises, allowing for practices to grow and evolve with new locations, modalities, and physicians. 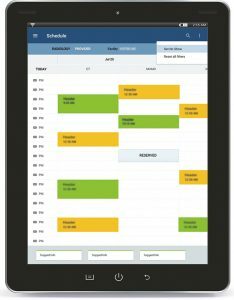 Patients have access to administrative digital forms that are required to be fi lled out for appointments, in advance via the patient portal. Patients can also use the portal to download copies of their images and reports in a shareable format. Reduce insurance denying a payment with Procedure-Diagnosis Validation. Exa RIS compares ICD 10 and CPT codes to ensure the exam generated is appropriate for the presented ailment to reduce insurance rejections. Customize your web-based RIS home screen, access levels, and chat. Configure access levels based on referring physician, personnel rank, and preference. Exa is the first product to contain full modules for RIS, PACS, and EHR. This allows the product to comply with Meaningful Use Stages 1 and 2. The Exa platform is a robust database of fully web-based software solutions. Adding the Exa PACS takes the physician and patient portal to the next level. Referring physicians now have easier access to patient data. Any referring physician can log in regardless of operating system, local security policy, or browser. This is truly anywhere access. Konica Minolta’s PACS was designed with the purpose of providing never before seen speed and workflow efficiency with the most advanced features and toolsets available. All prior PACS have been forced to sacrifice either speed or functionality, but Exa delivers both. 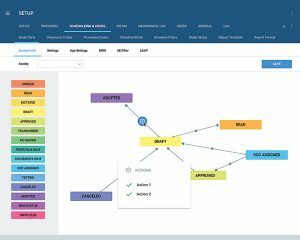 Konica Minolta’s Exa Platform has an extremely configurable dashboard, giving each user the ability to maximize efficiency. 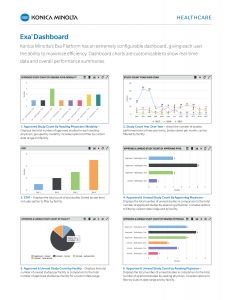 Dashboard charts are customizable to show real-time data and overall performance summaries.